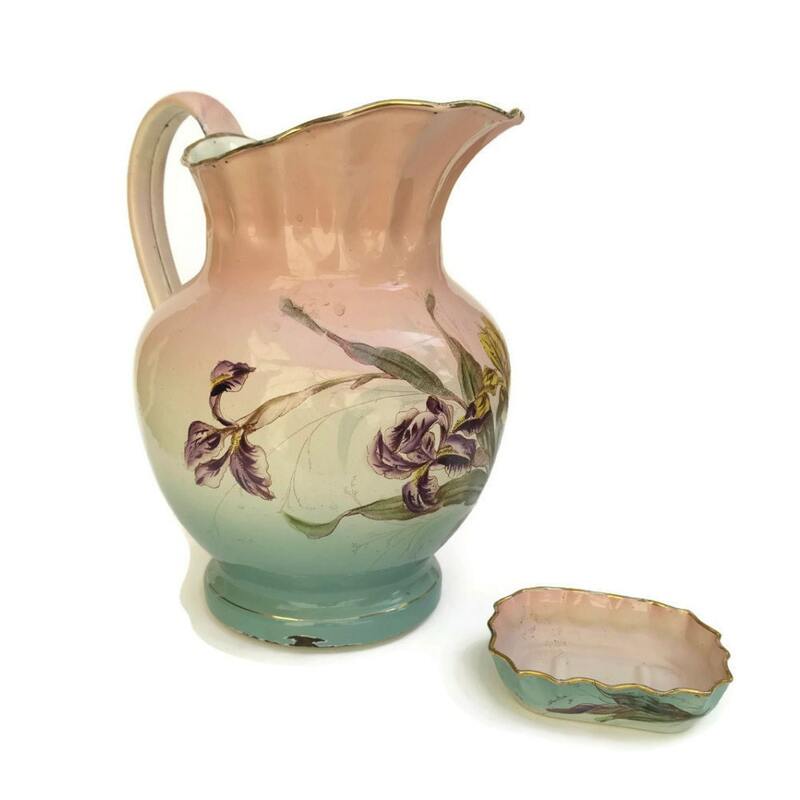 A gorgeous antique French pink enamel wash basin and pitcher bathroom set from the Art Nouveau era. 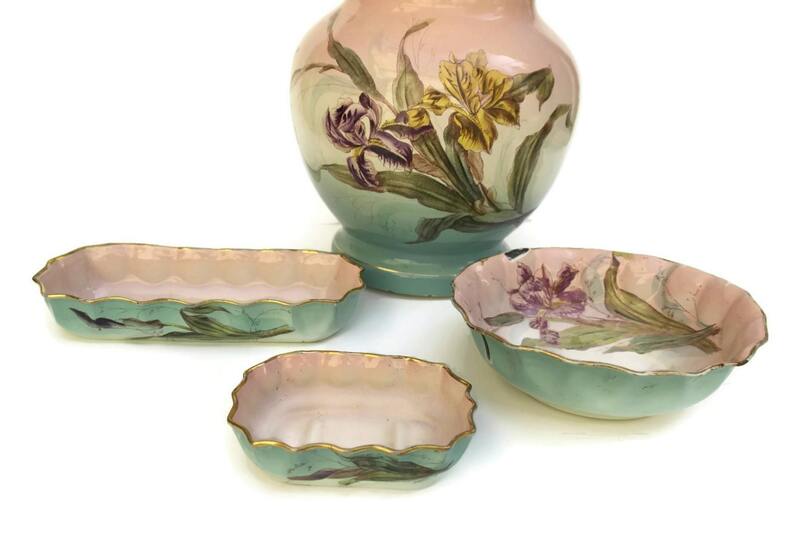 Decorated with flowers, the enamelware is filled with charm and is the perfect accessory for a chic and shabby home decor. 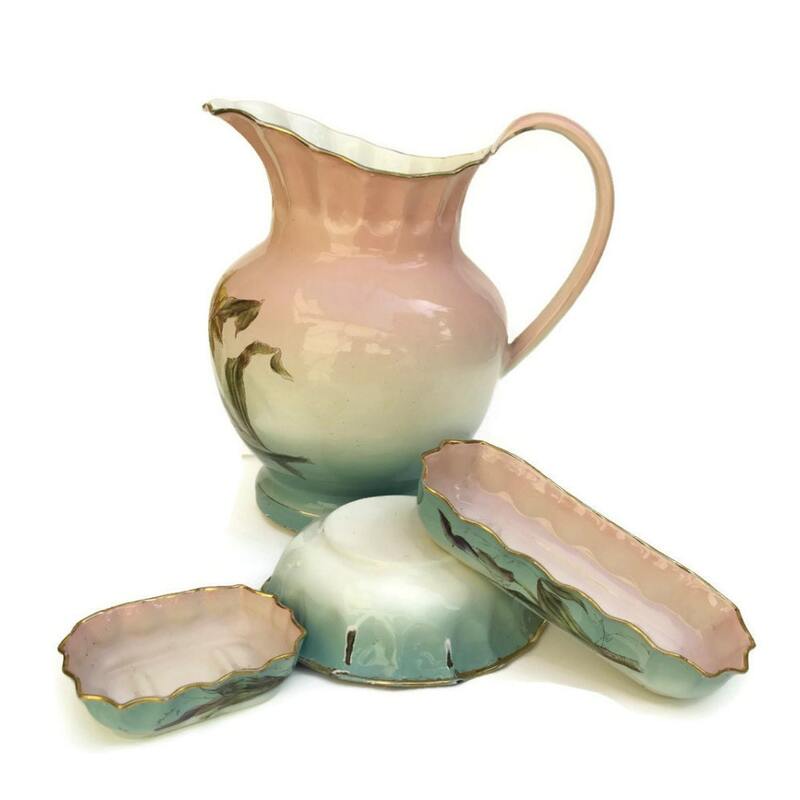 Included in the set are a large pitcher, wash bowl, soap dish, tooth brush tray and shaving bowl. 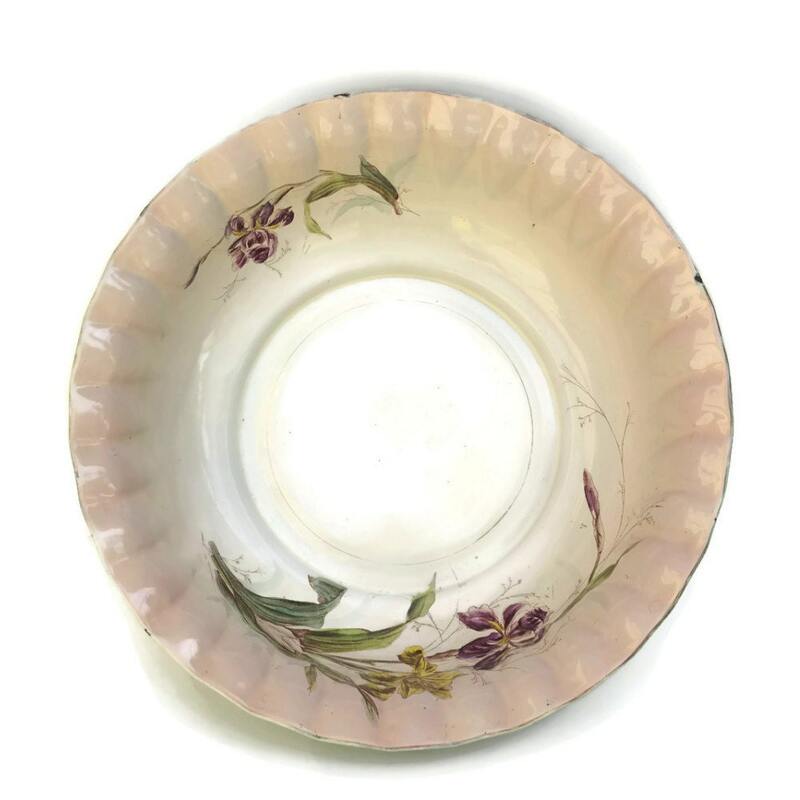 Each of the pieces features elegant fluted sides with gold tone highlights along the rims. Water Pitcher: 12" Tall x 9" in Diameter (30 cm x 23 cm). Wash Basin: 16" Wide x 5" Tall (40 cm x 13 cm). Shaving Bowl: 7" Wide x 2" Tall (40 cm x 13 cm). Tooth Brush Tray: 8" Long x 1 3/4" High (20 cm x 4 cm). Soap Dish: 4 3/4" Long x 1 3/4" High (20 cm x 4 cm). 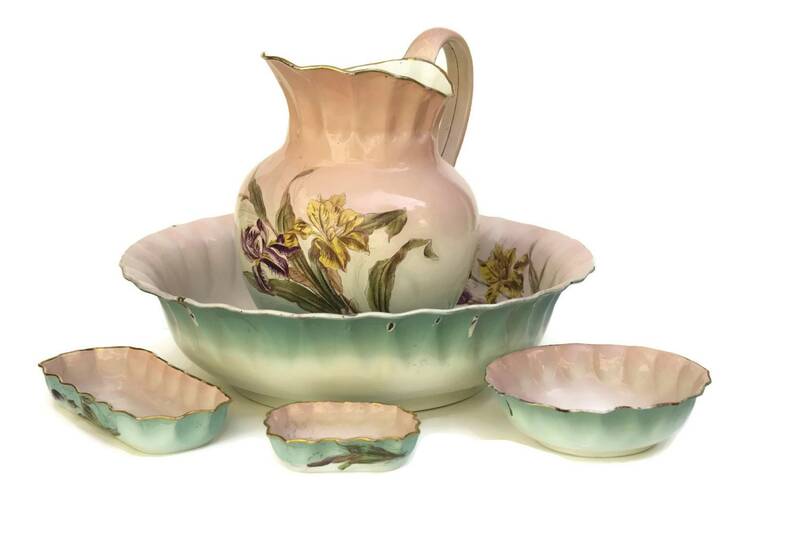 The pink enamelware bathroom set is in very good antique condition with some signs of age and wear including some flakes and light scratches and marks.